The finals weekend of 11th/12th of August was to be held at Tynemouth SRC and featured Northumberland A (winners of Division 1), Northumberland D, Westoe 1 (winners of Division 2) with Newbiggin 1 being unable to field a team. This meant that Northumberland A went straight through to the final to contest the Howard McCain Wealth Associates Trophy (still to be returned by Benwell Hill). Westoe 1 and Northumberland A were to fight it out to decide who would play Northumberland A in the final. Westoe were instantly at a disadvantage after turning up with only 3 players – 1-0 to Northumberland D.
Stephen Boyer took on Laura Neil and emerged the winner 3-1 – now 1-1. 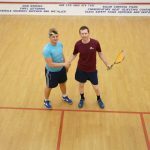 Paul Little against Martin Jolley was a victory for Martin 3-0 – now 2-1 and victory for Northumberland D.
Last Match on was Ryan Hall against Chris Wiggins. Chris winning comfortably 3-0. 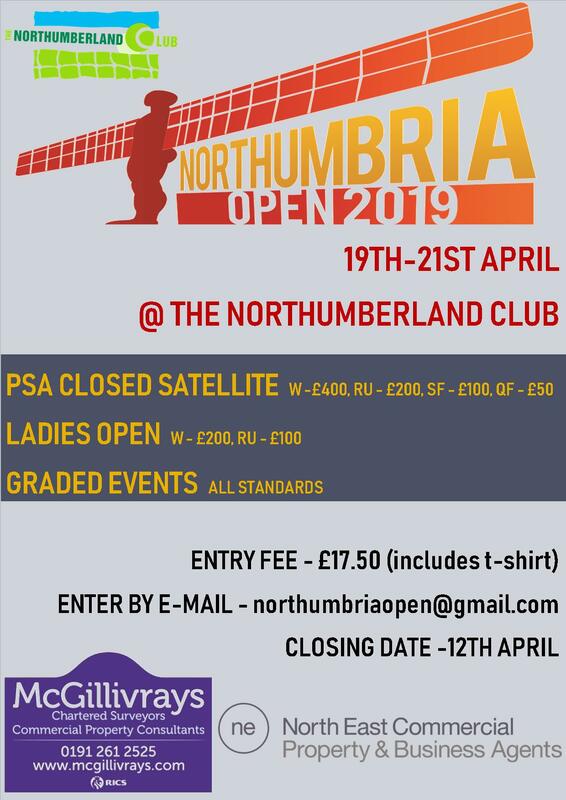 With both Northumberland teams being short of players for a Sunday final the game was switched to The Northumberland Club for a 17:00 start on the Saturday. Northumberland D were at a slight disadvantage due to having already played at Tynemouth against Westoe 1. 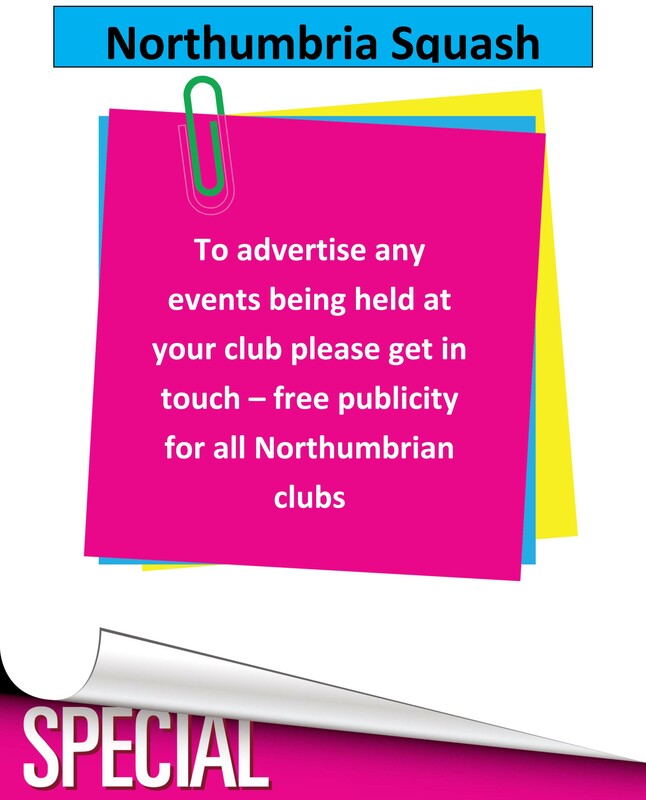 Many thanks to The Northumberland Club for facilitating the final at short notice. First up was the number one strings with Chris Wiggins comfortably seeing off Tom Oldfield who had to leave early due to prior commitments. Next up was James Breakey against Laura Neil with a not so comfortable win for James who was wearing his lucky headband and looking like Bambi on ice at times. This meant that both teams were all square, with one team needing to grab a game to shift the balance. Next up were the two captains David Breakey against Guy Evans. David wining the 1st game could Guy get a game to help his team? – well no he couldn’t. This left Northumberland D needing to win 3-0 for a count back of points won. But as described below in the MVP Paddy got the game needed to win the Cup for Northumberland A.
Congratulations to Northumberland A – Northumbria Squash Summer League Champions 2018. With the game evenly balanced and needing to win 3-0 to take the cup things started well for Martin 15/10 for a 1st game win. After the good start things started to go wrong in the 2nd game and Paddy steadily nudged ahead to win 15/7 (giving the cup to Northumberland A). He also went on to take the next game as well to lead 2-1. Paddy now appeared in complete control but after having several game balls Martin ground out the win 15/14. 2-2 and all to play for (well not really) – Martin was now competing again and gradually took the lead to close out the match 15/12 when he looked to be finished in the 4th. Well done Martin. There was no 3rd/4th place play-off. Here are some photos of the day to share.